Bernie Sanders: Dems need ‘total transformation’. Former U.S. Democratic presidential candidate Bernie Sanders on Sunday urged a major overhaul of his party, calling for more aggressive efforts to court working-class voters and fight big businesses from Wall Street to the pharmaceutical sector. Sanders, who spoke a day after Democrats chose Tom Perez, a veteran of former President Barack Obama’s administration, as their new party chairman, said it was also crucial for progressives to do more to mobilize grassroots supporters to take on Republican President Donald Trump. 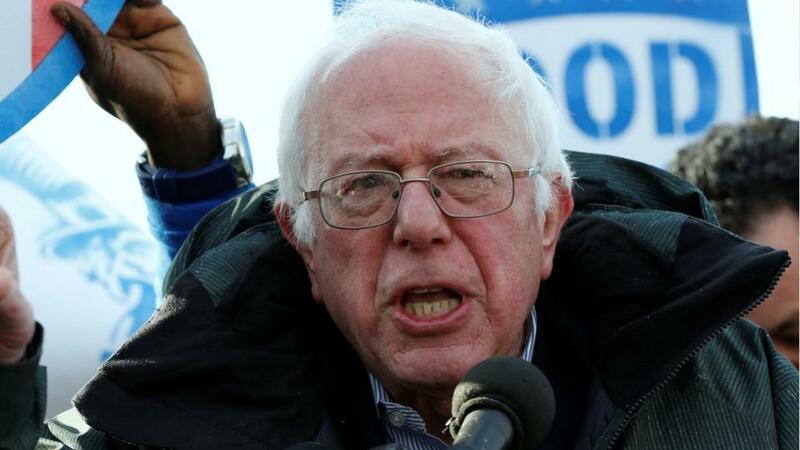 “We need to open up the party to working people, to young people and make it crystal clear that the Democratic Party is going to take on Wall Street, it’s going to take on the greed of the pharmaceutical industry, it’s going to take on corporate America that is shutting down plants in this country and moving our jobs abroad,” he added. Democrats are struggling to recover from an electoral rout in November in which they lost not only the White House, but both chambers of the U.S. Congress. Republicans won the governor’s office in 33 states, up from 31, and increased their dominance in state legislatures. The unexpectedly strong challenge from Sanders, a Democratic socialist, to Hillary Clinton in the 2016 Democratic presidential primary laid bare the fissures within the party. Sanders’ calls to rein in big businesses echoed a campaign theme that energized his supporters during the Democratic primary. Sanders had backed U.S. Representative Keith Ellison, a liberal from Minnesota, to lead the Democrats but threw his support behind Perez after Saturday’s vote. Perez promptly made Ellison his deputy after the election. “Bernie’s guy, like Bernie himself, never had a chance. Clinton demanded Perez!” he said in a Twitter post on Sunday. Perez, who was labor secretary under Obama, promised to rebuild the Democratic Party and redefine its mission from the grassroots up. Democrats did not invest enough in their party infrastructure and grassroots organizing and ignored large swathes of rural America, Perez said in a round of television appearances. Trump swept those areas and the Rust Belt region in the Midwest with his talk of bringing jobs back to America and renegotiating the trade deals many blamed for their loss. Perez cited the angry town halls some Republican lawmakers have faced recently and said it was important for Democrats to harness that energy into the ballot booth.